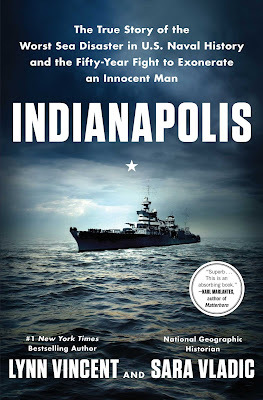 Coinciding with the anniversary of the day in 1945 when the USS Indianapolis was torpedoed by a Japanese submarine, I happen to be reading a fine book on the tragic story, Lynn Vincent and Sara Vladic's Indianapolis: The True Story of the Worst Sea Disaster in U.S. Naval History and the Fidty-Two Year Fight to Exonerate an Innocent Man. 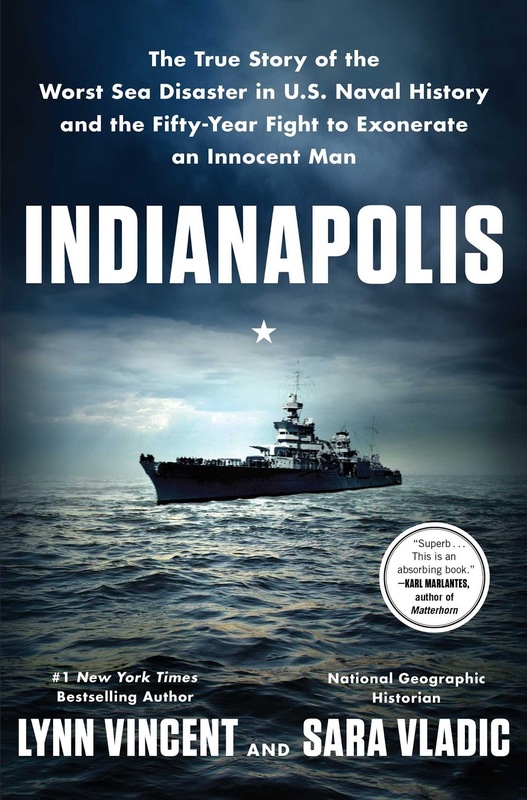 My review of Indianapolis will soon appear in the Washington Times. 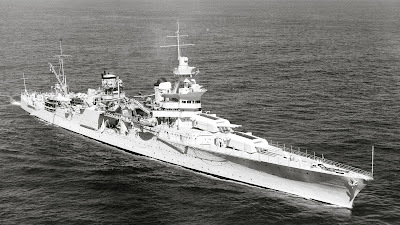 The sinking of the USS Indianapolis is still the biggest single loss of life at sea to be suffered by the United States navy. From a crew of 1,196 men, only 317 survived. Torpedoed by the Japanese, dying of thirst and eaten by sharks. For 70 years, the story of the USS Indianapolis has been told as a sinking story, or a shark story, or a story of military justice gone awry. But in Indianapolis, the true story of this mighty vessel is revealed. As the USS Arizona embodies the beginning of the Pacific war, the USS Indianapolis embodies its fiery end. From its bridge, Admiral Raymond Spruance devised and executed the island-hopping campaign that decimated Japan’s Navy and Army. Its crew led the fleet from Pearl Harbour to the islands of Japan, notching an unbroken string of victories in an exotic and uncharted theatre of war. When the time came for President Harry S. Truman to deal Japan the decisive blow, Indianapolis answered the call. And super-spy Major Robert S. Furman climbed aboard, secreting the components of the world’s first atomic bomb. Four days after delivering her ominous cargo to the island of Tinian, the Indianapolis was sunk by a Japanese submarine, with nearly 900 men lost. The captain, Charles B. McVay III, was wrongly court-martialled for negligence over the sinking. Decades after these events, the survivors of the Indianapolis, as well as the Japanese submarine commander who sank it, joined together to finally exonerate McVay.